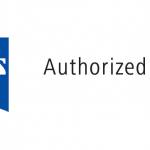 Arris Medical Systems is proud to offer a direct Warranty Program through industry leaders such as Zeiss and M&S Technologies. We also offer a custom Warranty Program directly through Arris Medical Systems and other valuable partners. Please contact Arris Medical Systems for more information regarding our Warranty Program.